Best Endless Runner Games For Android totally brings out a side of me that plays games like this with absolute concentration and focus. You don’t want to miss the games that I have put on this list as my 12 Best Endless Runner Games For Android. Endless Runner Games are sometimes hard and annoying to play if you run for too long and attain a certain distance and points, and then fail or crash along the way, you will have to start from the top. So, I have put it upon myself to make a list of the very Best Endless Runner Games For Android below, and I hope you will find that best endless runner game that you will love and play all the time, okay I’m just trying to butter you up for my list, how about we get on with the games and you see and play them for yourself and see if you won’t like them. Temple Jungle Run Oz as the first game on my list is one of the most captivating Best Endless Runner Games For Android, with amazing graphics and gameplay that is to die for. This is an exciting game for players of all ages, all you have to do, in regards to the controls is to swipe left and right to turn your character to a certain direction or dodge an obstacle, also swipe up to jump and swipe down to duck. In addition to the amazing features the environment that you’ll find yourself running in will change from time to time, so you can upgrade your running skills and earn more coins. This game is just 64MB in the installation size. In this endless runner game, just like the above game, this Temple Run is similar to it. This Temple Run is literally the very first version of all other Temple Run editions that are now out on Google Play store, so this temple run is the father of all temple run out there. The controls are easy and are the same with the above temple jungle run Oz, swipe up and down to evade the obstacles, swipe left and right to navigate the character running and also evade obstacles. A fast-paced experience is brought to you, this game is the most thrilling and interesting fun endless runner game ever. This game is just 43MB in the installation size. Temple Run 2 is an improvement on the predecessor ‘Temple Run’. The graphics in two is way better, the speed of the runner is faster than the previous Temple Run, it gets faster and faster as the runner keeps up with the pace. This version has more fun characters and abilities and also new power-ups. Everything in this temple run 2 is just the same with the previous temple run, the shield works the same, the magnet and the rest of the other power-ups and abilities and features work accordingly. The difference that was improved upon is in the graphics. So if you have a choice to choose between this temple run 2 and the previous version, I will advise you to choose this version. That doesn’t take anything away from the very first temple run, it’s still one of the best Endless Runner Games For Android. This Temple Run 2 has over 500,000,000 downloads, with just 75MB in the installation size of the game. Sonic Dash is an amazing fast-paced endless runner game, you can literally run for hours and not reach the end in this game. In this game, play as the legendary Sonic the Hedgehog, Dash and pass a lot of obstacles and make it to the end. Pick a lot of coins on the way and power-ups as well. There are a lot of amazing moves and abilities that Sonic will do to help him survive. Learn those skills and master the art of running. If you get tired of running as Sonic, then there are a lot of Sonic’s friends that you can use and keep the race alive. In Boss battles, you can use power-ups and speed up right through the boss to destroy him and win more points and earn more power-ups for the next boss battle that you will encounter. This game is just 91MB in the installation size, with totally amazing graphics. This game needs no introduction, this is the most popular endless runner game on google play store, and every other Android app store out there. Subway Surfers is the most interesting and fun game, also very addictive, I can play Subway Surfers for hours and not get tired. The more you run, the faster the game gets, so you need to keep your eyes on your screen to be able to maneuver through the subway. Subway Surfers is an outstanding endless runner game that is played by a lot of people all over the world with over 1,000,000,000 downloads so far, you can see how popular this game is now, right? If you are looking for an endless runner game that will blow your mind with fun hours of non-stop gaming time, then you are at the right game, Subway Surfers is what you’re looking for. Just 82MB in the installation size, not too much for you, so what are you waiting for, click on the download link below now and download this amazing game. Lara Croft has got a mission, find amazing locations and relics that were lost. Finding those relics in some very bizarre locations is not going to be easy, but that is why you have to be extra careful and focused when playing this amazing endless runner game. Lara Croft: Relic Run is 43MBin the installation size, with over 10,000,000 downloads so far and still more in counting. Trust me when I tell you, you need to play a game like this, fast-paced, very entertaining. You might not be a fan of games, but this game is a kind of game you don’t want to miss out on. A lot of power-ups, upgrades to be made, some cool characters and weapons for survival. The controls of this game are not so different from the controls of other endless runners games on my list of Best Endless Runner Games For Android. The graphics id totally amazing, truly a spectacular game to have and play. Join in this fun amazing arcade endless runner game, Agent Dash. S the name says Dash, you will not only be running, but you will be dashing your way through a lot of obstacles and roadblocks that have been purposefully put on your path to victory. I have to say, endless runner games on Android are one of the most exceptional games that you can play with friends, although this particular game does not have an online multiplayer feature, you can play with your friends that are physically present with you. The controls on Agent Dash, are similar to every other control on other endless runner games for Android. A lot of perks, upgrades, characters and their amazing outfits, a lot of achievements and even a scoreboard to keep track of your record in the game. Agent Dash is 87MB in the installation size and has cool HD graphics and soft audio. Jetpack Joyride is indeed joyride, literally one of the best endless runner game for Android with amazing HD graphics and cool gameplay, soft controls that allows you to take complete control of the character running and run through some fierce huddles and obstacles and come out the other side. The size of this game varies with different Android devices, so be sure to have more than enough Data on your Android device. Jetpack Joyride is an authentic endless runner game that is suitable for all people of all ages, young and old. There are a lot of jetpacks available in this game, chose the jetpack that you fancy, and that is way faster for every new mission. You can customize how you want to look and also customize your jetpacks to look the way you want it to. There are a lot of missions for you to embark on to boost and power-up your ranks and gadgets. The rest of the other features in this game will be discovered by you when you decide to click the download link below and download this game. This game is an amazing endless runner adventure game on google play store, ranking as one of the very best endless runner games, and also ranking on the Sonic the Hedgehog series as the best! So there is no doubt you are looking at the hit game. Although the downside of this game for some of you is that it is a paid game, not free at all, you are going to have to buy the game, before you can install it in your Android device for just 24MB. Your objectives are many and tasking, scale through a lot of obstacles, pass successfully through some crazy locations, unlock some characters to boost your gaming experience, and also just to add, you might need to upgrade your characters, whichever you may choose. This is the game to play, totally offline gaming experience with high-end HD graphics. Alto’s Odyssey is another unique endless runner game, packed filled with endless adventure. From the storyline of the game, Alto, the main character in the game began a journey with some of his friends into a mysterious land where there will go through some real turbulent experience. Take control of your character as you try to escape the desert. The controls of this game are very easy to master, the graphics are perfect, the gameplay is soft, all you need is to click the download link now and begin the journey with Alto and friends. This game is completely free, just 57MB in the installation size and over 5 million downloads. Now it’s time for some super Mario endless running fun time. Gear up and get ready to go old school on this legendary endless runner game. Super Mario came out on Android and it’s really amazing, most of us have played Super Mario on some video game consoles like SEGA, Xbox 360, PlayStation 0ne, two and probably three. So now, having Super Mario on Android is really fulfilling for all the Super Mario fans out there. There are more fun characters in this Android version of Super Mario, so you can always select a new character to let the other ones rest and recuperate. Ever since Super Mario Run came to Android, the number of downloads just keeps increasing day by day, its over 100 million downloads now, just 70MB in the installation size also, so download now and get ready for some super fun gaming experience. This version of PAC-MAN, the Endless Maze has now been improved upon and developed for Android users and is not just the normal PAC-MAN you know, this is the endless runner version. The graphics in this version is way better, 3D graphics, without outstanding gameplay and good controls. Now, the gameplay and objective are the same, run through the maze, escape the ghosts in blue, while eating the cherries in red. There also a lot of added features to this version of PAC-MAN, you can make use of lasers, and go about munching on the power pellet. The maze in this version of PAC-MAN is literally unending, just 46MB stand between you and an unending PAC-MAN endless running adventure. Now, the thing about endless runner games is that you just keep playing there is no end at all, there is never an end, even if you run for hours and hours non-stop. Your job or objectives is to gain as many points as you can and collect as many germs or coins or power-ups as you can possibly get and then keep collecting more until you fail. Now basically, most endless runner games for Android, you will have a whole lot of obstacles, hurdles to jump up out of, blockades to dodge and many more hindrances to keep you from getting to the level you need to get to, but your resilience will boost you to run fast and swift right through all those hurdles. 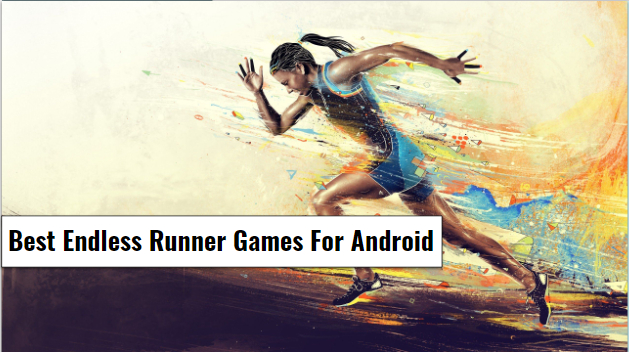 Endless Runner Games For Android are amazingly outstanding, both in graphics and gameplay, top-notch controls and other amazing features that will drive you crazy. Endless runner games can be very addictive, play with caution, probably play at your free time. Thanks a lot for viewing this article, for now, I got to say bye.